Today’s AQM system, with its “Fatal Warnings” and “Critical Messages” takes a step beyond simple reporting by notifying lenders that reports from certain appraisers can no longer be submitted to the GSEs (the black list). For the most part, once you are on the list, you can no longer perform work for the Nation’s 15,000-20,000 lenders; you are out of business. This Webinar untangles the new rules, shows how the system operates, what is reported to lenders and what it takes to get an appraiser on the “do not use” list. Hagar provides an easy-to-understand checklist of “dos” and “don’ts” and discusses the very latest intel on the specific mistakes Fannie is most concerned about and how to avoid them. What sort of problems are the GSEs looking for? How will I know if I’m on the black list? Will the appraiser be notified of problems with their appraisals? What will get me on the list and how do I avoid it? How will lenders know if an appraiser is banned from supplying appraisals? How do I get off the list once I’m on it? Fannie Mae is ramping up AQM which means increasing numbers of warning letters are being sent to appraisers for incorrectly or inconsistently applying Quality and Condition (Q&C) ratings across their appraisal reports. Reviews indicate that appraisers are failing to consistently apply the right Quality Rating to subjects and comparables. As a result appraisers are subject to “gray” or “blacklisting” by Fannie Mae’s new AQM system. State boards are also beginning to file complaints against appraisers alleging incorrect Q&C ratings, making it more important than ever for appraisers to have a clear understanding of how to determine and apply Q&C ratings. 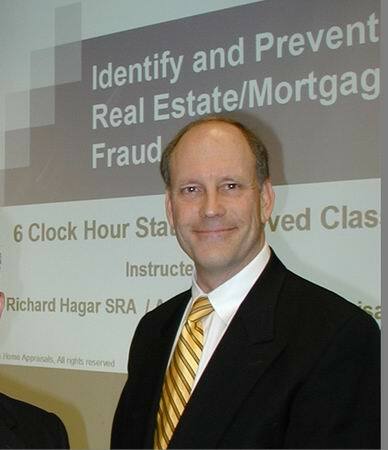 Richard Hagar shows appraisers how to navigate Fannie’s Q&C rating system and stay out of trouble with state boards and Fannie Mae.